When rough sketches for a decorative archway featuring a beautiful array of floral work arrived in the inbox of our 3D graphic designer there was a definite air of excitement that this was a project that would allow Alpha Rail to really excel and display their ability to turn visions into reality. 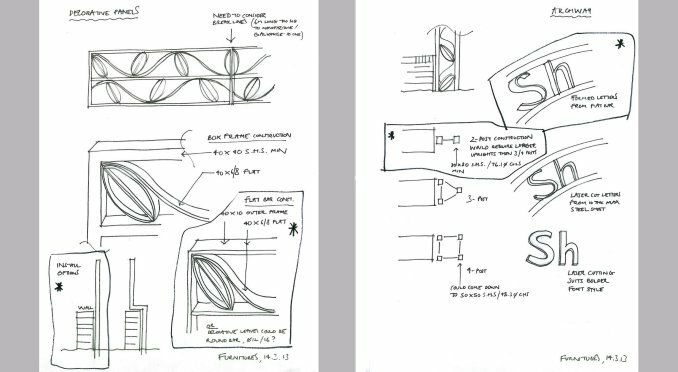 The hand drawings were for a feature archway and metal railings for the Hurdis Road and High Street main entrances of Shirley Park. Originally farmland, the landscaping of Shirley Park has delivered wonderful ornamental gardens and walkways which take pleasant journeys through the Park. A period of expert design and bespoke metalwork manufacturing followed, and the end result is that Alpha Rail has installed two 3m high decorative archways with matching pillars and bespoke railings either side. The metal archways are supported by steel legs which extend 800mm into a concrete foundation. The decorative features on the decorative archway and railings are particularly stunning as they show hand painted flower heads with black stamens. Only by looking at them can the true complexity of the bespoke metalwork fabrication process really be appreciated. 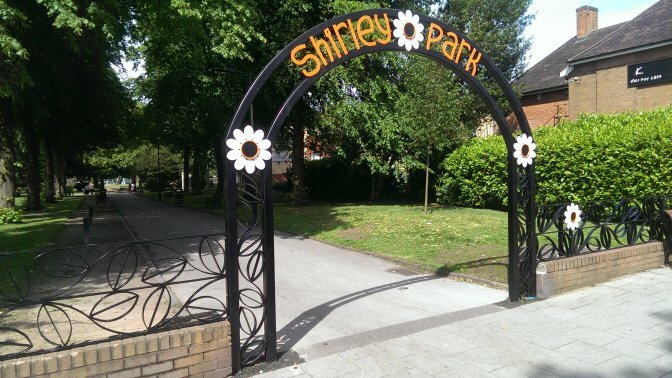 Made using laser cut profile lettering, the Shirley Park name is centre of attraction, and the arch joint location arch has been tastefully hidden using bespoke metalwork floral designs. The pillars of each archway feature weaves of flower stems, culminating in a colourful flower bud. 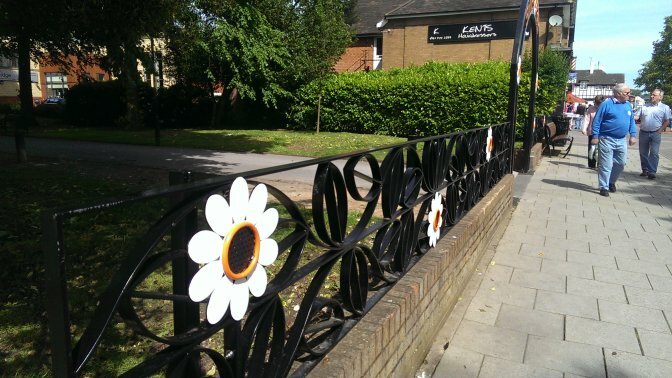 The railings extend out 12m either side of each archway and comprise a complicated network of petal and flower buds which have also been white RAL 9010 and black RAL 9005. 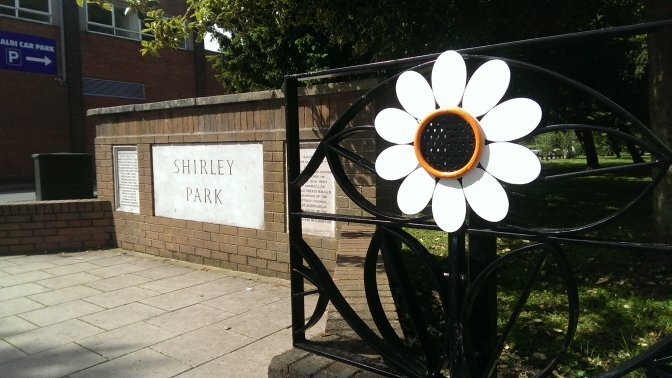 Shirley Park officially re-opened on 14 June 2014, following over £600,000 worth of improvements, funded by Solihull Council and Shirley Advance.